ANYWAY, I was having a major craving for some comfort food, had a gigantic (think: small watermelon) spaghetti squash on my counter. 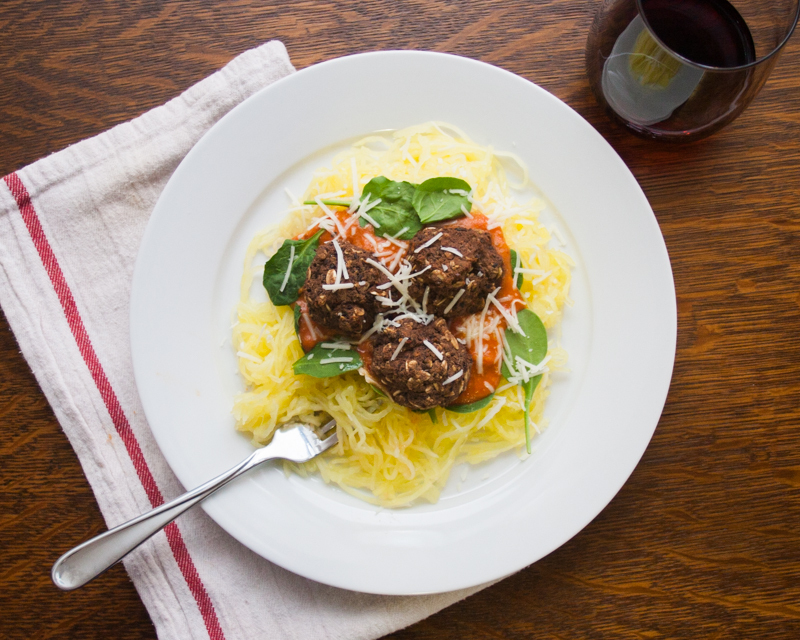 The idea popped in my head for a spaghetti & meatballs remix, and I had to give it a whirl. You can use pre-made spaghetti sauce, or make a quick from-scratch version in a food processor (tomatoes, garlic, onion, olive oil, basil, parsley, red pepper flakes). In a food processor, pulse onion and garlic until finely chopped. Add 2 cans black beans, cilantro, parsley, egg, red pepper flakes, chili powder, cumin, and cayenne and pulse to combine. Transfer mixture to a large mixing bowl, add the remaining cans of black beans and the bread crumbs. Season with salt and pepper, to taste, and mix until well combined. Form into roughly 1″-1.5″ diameter bean balls with your hands. It’s up to you how large they are, just be sure to cook them longer if they are giant! Bake for roughly 30-40 minutes, or until the black bean balls are firm and hot all the way through. 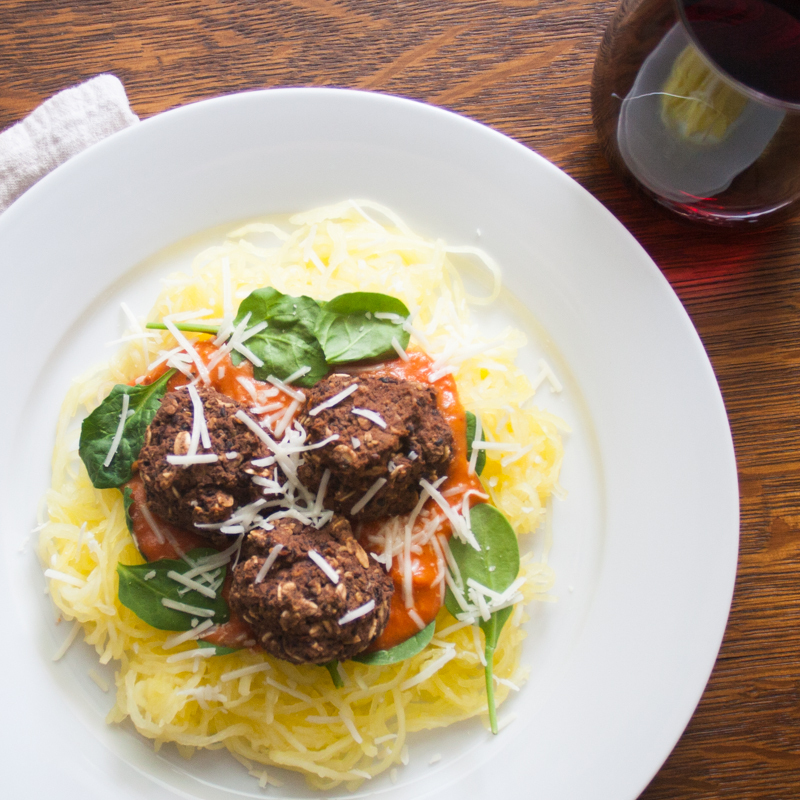 Plate your spaghetti squash, some fresh spinach, pasta sauce, and Black Bean Spheres of Deliciousness (soon to be trademarked), along with asiago cheese for topping (if desired). Enjoy your comfort food, guilt-free! !